In 2010, Seabrook Sailing Club completed construction of its new clubhouse, “The Gerloff Building”, named after a founding family. 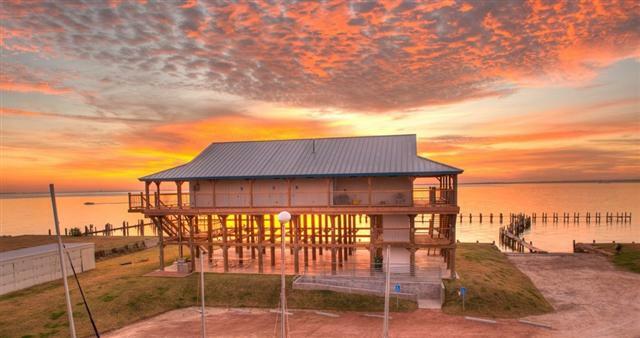 The prior clubhouse, built after Hurricane Carla in 1962, was destroyed by Hurricane Ike in 2008. The new clubhouse is a significant upgrade in strength, function, and style. To weather future storms, the structure is designed to withstand 130 mile per hour winds and includes hurricane windows across the entire bay side. The ground around the clubhouse was raised 5 feet and the floor of the clubhouse is perched 25 feet above sea level, high enough to remain above most hurricane storm surges. The pilings supporting the clubhouse are massive round timbers, which research has shown resist and withstand hurricane forces better than square timbers. 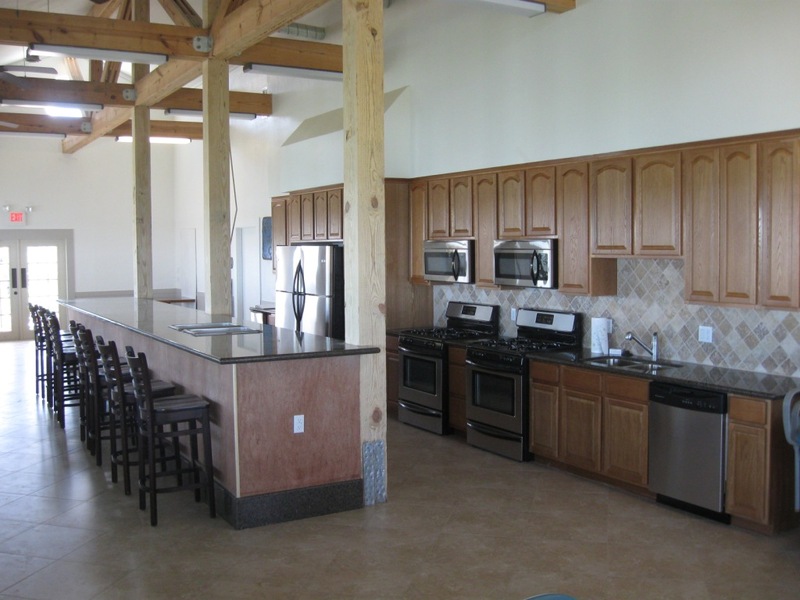 The clubhouse should provide years of service for its sailing, windsurfing, and kayaking members. Inside, the clubhouse is an air conditioned, open-concept room with a high ceilings, a long bar, and kitchen area designed for relaxing after races, cooking dinner with family and friends, and holding parties and club meetings. Double stoves, microwaves, and refrigerators are installed with oak cabinets and granite countertops. 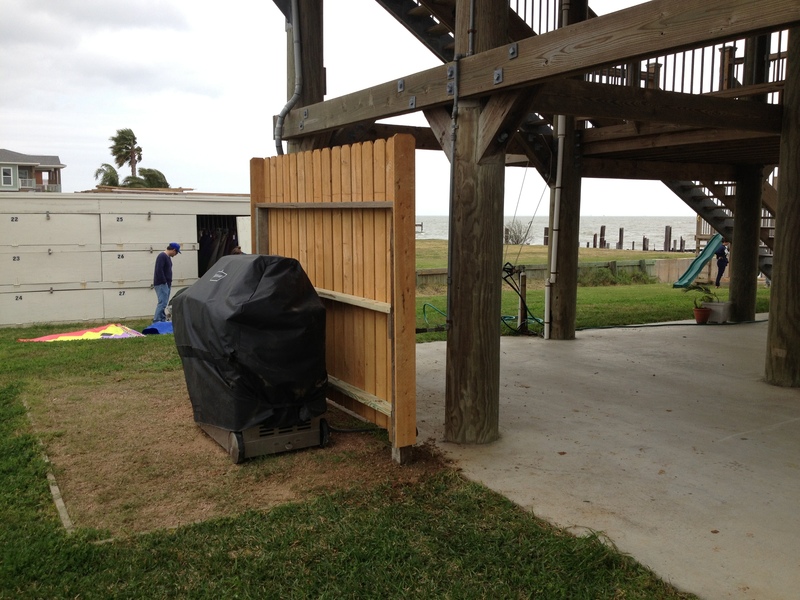 A covered deck extends around all sides of the clubhouse offering wonderful views of Galveston Bay, Clear Lake channel, and local sailing activities. The club has also rebuilt the boat storage locker building, providing 27 spaces suitable for storing small boats and windsurfers.